Central Bank Governor, Godwin Emefiele. Public offices are held in trust for the people. Therefore occupiers of public offices are the golden fish that have no hiding place. It is thus instructive that they should justify their appointments by demonstrating competence, accountability, discipline and leadership. These virtues approximate the essence of every successful public office holder. 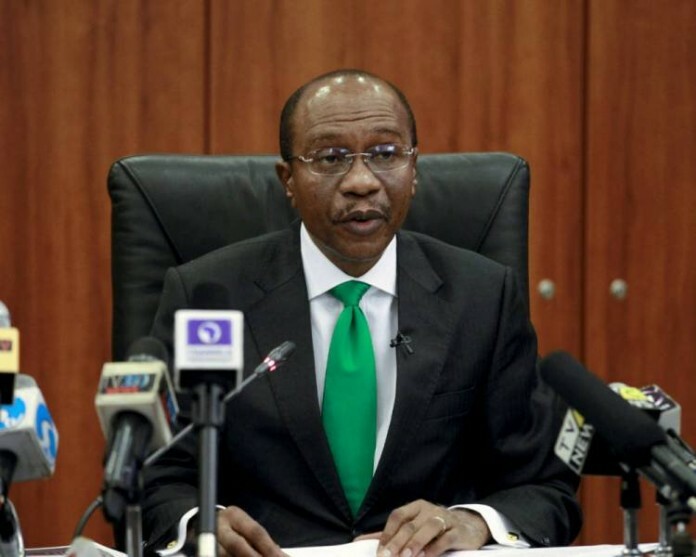 It is in the context of the parameters supra that economic analysts and public affairs commentators have, in recent times, been giving appraisals of the person of the Governor of Central Bank of Nigeria (CBN), Mr. Godwin Emefiele and his era at the head of the apex bank’s command-room since stepping in the saddle on June 3, 2014. One such analysis that was agreeable to me and reflected my views was published on the back page of Leadership newspaper of Thursday, February 21, 2019 titled: “Deconstructing Emefiele, CBN’s Command-Room Guru” wherein the writer noted how the American media raised the profile of astute economist and former chair of the US Federal Reserve Board from 1987 to 2006, Alan Greenspan, to a point that several observers likened him to a “rock star” whereas he was ordinarily subdued in his public appearances. The interesting contrast with Emefiele is that the media in Nigeria had not extended a similar favour to CBN’s Emefiele. But, that seems to have changed in the last two months. Emefiele has understandably been enjoying a rave review of his first tenure as CBN governor in the media. Such reviews of his era and achievements could either recommend him for tenure renewal or for posterity’s positive judgment. Emefiele has unarguably brought over three decades of both theoretical and practical experience from top-flight academic and hands-on banking arenas to the complex, fluid turf of central banking. In Buhari’s change administration, Emefiele has been able to call on these governance skills to successfully drive CBN’s command room. He can, in the next level, keep fidelity to the major regulatory objectives of the CBN, to wit: maintaining the external reserves, promoting monetary stability and a sound financial environment, and acting as a banker of last resort. 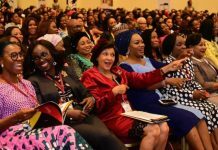 At a bankers’s dinner in Lagos, last year, he reportedly alluded to a number of recent developments that had markedly impacted emerging market economies, including Nigeria. One such development was the rising global interest rate due to sustained monetary policy tightening stance in the United States and other advanced economies. According to him, “This has consequently heightened fragilities, imbalances and vulnerabilities in emerging markets. The Fed fund rate was raised steadily to 2.25 percent in September 2018 with a forward guidance for one more hike before the end of 2018 and three more in 2019. Similarly, the Bank of England raised its policy rate in August 2018 for the first time since 2008. Some emerging market economies, including India, Indonesia, Mexico and Turkey have also raised interest rates in response to that shock. “Consequently, Nigeria witnessed significant outflows of capital from emerging markets, which led to immense pressures on exchange rates, FX reserves, and sharp losses in the capital markets. Even Argentina, Brazil, South Africa, Turkey and Russia have depreciated their currencies significantly due to this shock. There have also been uneven fluctuations in the international prices of commodities including crude oil, gold, cocoa, etc. Consequently, Nigeria’s macro-economy experienced significant impulses over the last few years, which triggered the country’s GDP collapse into a recession with inflation spiraling to nearly 19 percent. The Naira-Dollar exchange rate hit peaks never seen before. Both unemployment and poverty also deteriorated. 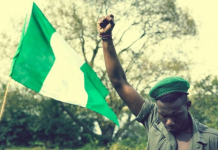 These adverse outcomes also revealed the country’s most worrying structural fault lines, to wit: the persisting sole dependence on oil and the inordinate size of the nation’s imports. CBN had to deploy seven carefully planned measures to manage the negative tensions of being an evolving player in the global village square, including, among others, fine-tuning the extant monetary policy, rejigging the external reserve management, stabilising the exchange rate management, introducing the Naira-Renminbi Currency swap, given the growing importance of the Chinese currency in global markets, and interventions in the development financing sector. Without a doubt, CBN’s policies and initiatives are yielding positive results toward full correction of the underlying imbalances within the Nigerian economy. The Ease-of-Doing-Business profile of the country is improving, courtesy of the CBN interventions. The establishment of the Credit Bureau and the National Collateral Registry, which improved access to credit in the domestic economy, had made significant contributions. Besides, the introduction of the transparent I&E FX Window, which increased investor’s confidence and eased market sentiments, also boosted Nigeria’s Ease of Doing Business indicator. Emefiele’s CBN has also effectively managed the external reserves. Over the last few years, it has established and maintained the decisive withdrawal of subsidy for the importation of 41 non-essential commodities. Following the strict implementation of the policy, imports (fob) fell steadily from US$15.7b in December 2014 to US$11.1b in June 2016 and US$7.2 b in June 2018. 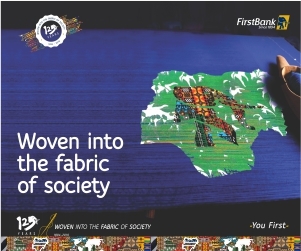 As it is, many entrepreneurs are taking advantage of this policy to venture into the domestic production of the restricted items with remarkable successes and great impact on employment even though The Guardian in its editorial of March 26, 2019 held a different view that the CBN had put Nigeria out of work by stopping fifth instant importers from accessing forex for textile products. But it did not elucidate further the ramifications of its argument. Over all, the CBN on Emefiele’s watch has given traction to key macroeconomic indicators and this has brought about the cyclical recovery of the economy since the 2016 recession, and short-term prospects. For instance, after five quarters of uninterrupted GDP contraction – beginning from 2016-Q1- the economy exited recession during the second quarter of 2017. This recovery has been sustained for five consecutive quarters. While the pace of GDP growth slowed from 1.95 percent in the first quarter of 2018 to 1.50 percent the second quarter, short-term outlook remained good. According to reports, the Nigerian economy likewise witnessed 18 straight months of disinflation to 11.1 percent in July 2018, following a period of rising inflationary pressure that peaked at 18.7 percent in January 2017. Minor upticks, due to rising food prices, however, raised it to 11.3 percent in September 2018. The exchange rate has remained largely stable at the FX markets with evident convergence continuing across all segments. At the BDC segment, there was significant appreciation of the Naira from over NGN525/US$ in February 2017, to about NGN359/US$ currently. Another significant achievement by the CBN, according to consensus by analysts, is the Anchor Borrowers’ Programme (ABP), aimed at stimulating productive activities and development in the agricultural sector through the provision of farm input both in cash and kind to small holder farmers in order to improve farm yields; and, designed to stabilise supply of input to agro-processors with a view to addressing the nation’s balance of payments on food import and export. The CBN claims a total number of 862, 239 hectares across 16 different commodities had so far benefitted from the ABP, which had generated about 2.5 million jobs across the country. Subsequent to the success of the programme with regard to cultivation of rice and maize, the Monetary Policy Committee recommended that the programme be applied to other areas such as palm oil, tomatoes, and fisheries, among others. *** Abba Adakole, a public affairs analyst, contributed this piece from Kaduna. 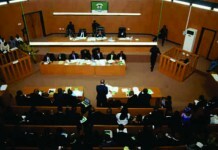 Next articleOPINION: HOW MUCH IS A NIGERIAN LIFE WORTH?